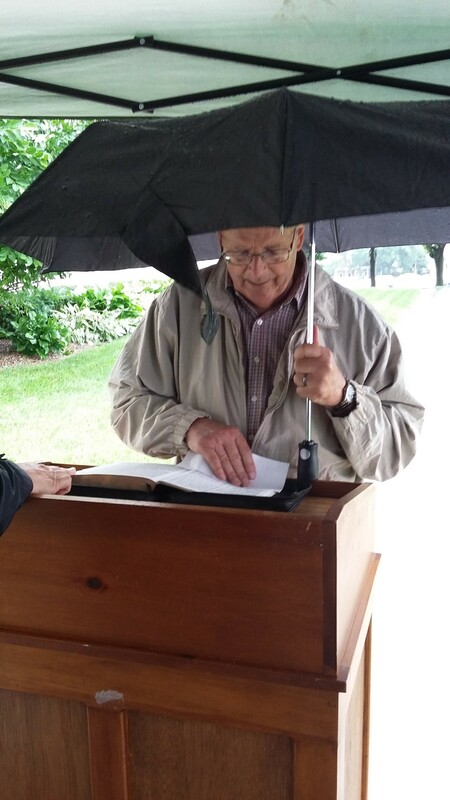 On day one of our Bible Reading Marathon, June 30, we woke up to rain. Not just a little rain, but a lot of rain. This is never good for the opening day of an outdoor event. But in our house, we say we choose the day, not the weather, and go about our business. The rain did relent long enough to get our spot in front of the county courthouse set up. 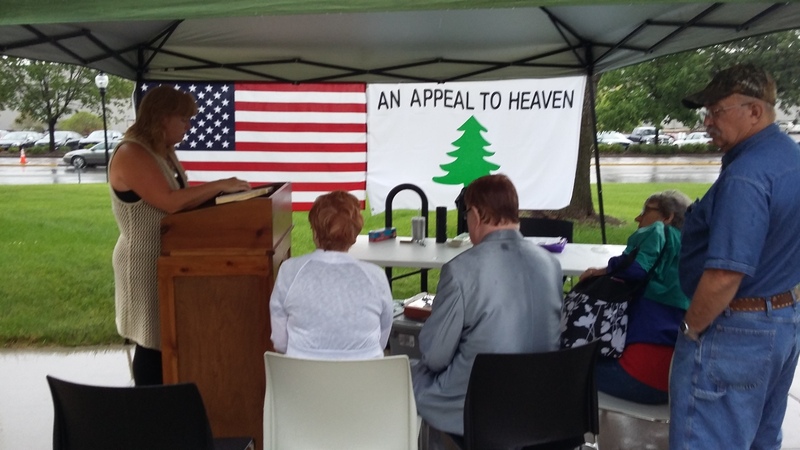 The goal was set to read the entire Bible from beginning to end, beginning on June 30, and finishing on July 3. The first reader arrived at the appointed time, and the reading began. Our first “Group” of readers came from a local church. 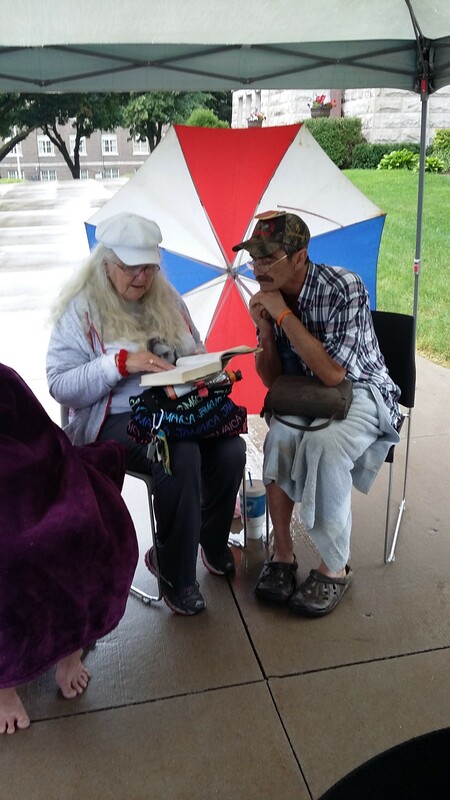 There were but a half dozen of them, and it was nice to know that they felt it important enough to come and read in the rain. We did have a canopy, but the rain was coming so hard, that it was leaking on us even under the tent. We used our umbrellas under the tent as needed. I am fairly certain that from the street, it looks like a circus tent, but the reading went on. The rain finally did subside, and although quite chilly, the rest of the day finished with great success. It was decided that we would not go through the overnight hours, with safety being a large issue. So after the last reader at 10:00, with a little help from a friend, we packed up the truck to return Friday morning at 6:00. God, You will need to make up for our lost over night hours so we can finish on time. Stay tuned for story #2, you’ll begin to see why I say our God is Ever Faithful.